NYC is a highly attractive destination for businesses, residents and visitors, and the Citizens Budget Commission has evidence to prove it. NYC’s information economy relies heavily on educated workers with specialized knowledge and expertise, and there is a lot of competition for this talent across the country. The Citizens Budget Commission’s Competitiveness Scorecard measures the performance of 14 of the largest domestic metropolitan areas on a comprehensive set of quantitative indicators. The studies indicate that the NYC metro area maintains competitive advantages in size, safety, public transit network, education, employment opportunities, cultural amenities, and entertainment options. However, lower scores on lengthy commutes and high rental housing costs pose a threat to the City’s standing and support a need for policy changes. 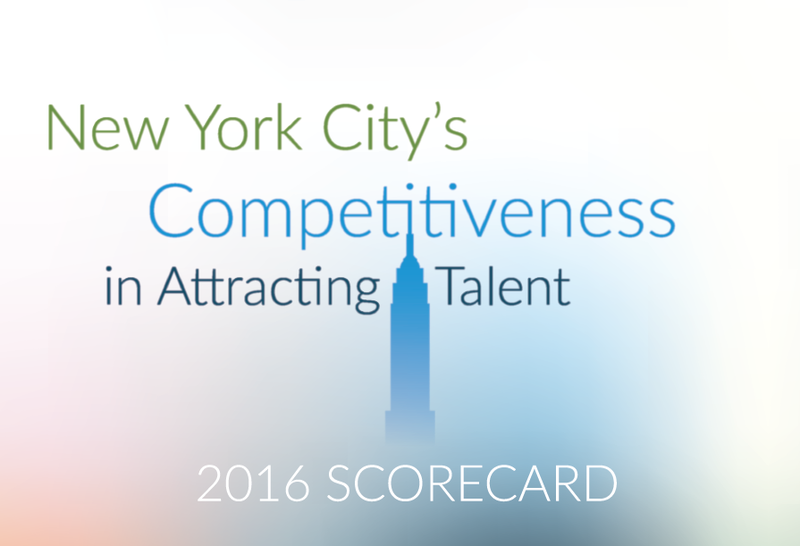 “CBC’s Competitiveness Scorecard demonstrates that NYC leads the country in diversity of industry, education and people, and that makes it a robust and complex tech ecosystem. But it is also a reminder that we must work toward policies that improve our quality of life if we want to remain attractive to residents and businesses,” said Executive Vice President George Fontas. Despite our lower scores in the Quality of Life category, strides are being made in entrepreneurship, including venture capital which are excellent drivers of our innovation economy goals. The more competitive our city is, the more companies will want to develop or relocate here. NYC was not always the desirable destination it is today and we have to keep working to maintain our competitive edge. Capalino+Company helps innovative companies succeed in the New York market. For more information on our services or help entering the New York market, contact Executive Vice President George Fontas at George@capalino.com or 212-916-5816. Get The Latest From Capalino+Company! Sign up for our free weekly newsletter for a roundup of top news and appointments from New York City and State government straight to your inbox every Friday. Plus the latest business and funding opportunities, RFPs, City Council Hearings, events and more! Click here to subscribe to Affairs+Appointments.